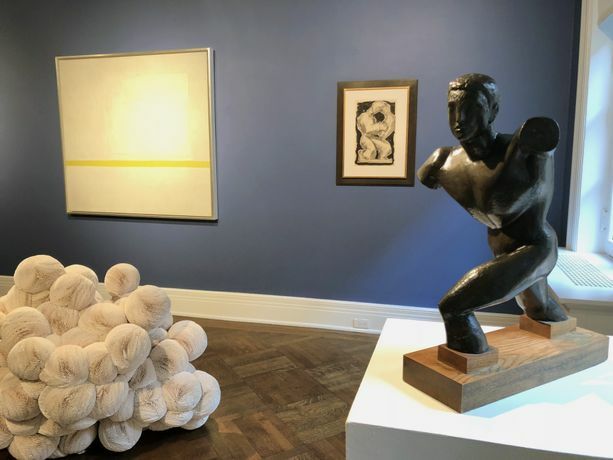 Crosscurrents is a gallery show of works chosen to illustrate artistic relationships between Europe and the Americas from the years 1930s through the 1960s. 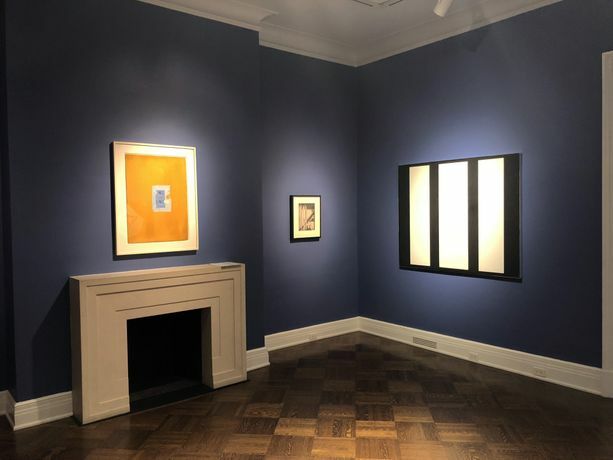 Centered on a 1968 Motherwell collage, the presentation opens with a bronze cast of Duchamp-Villon’s Torso shown at the pivotal 1913 Armory Show, and includes, among others, works by Hartley and Ferren painted in France, Pousette-Dart riffing on Gaudier-Brzeska, and paintings by the Greek-American Stamos and the Italian-American Marca-Relli. In addition, the gallery show will focus on a group of works that explores the parallel relationship between the United States and Latin America, as well as an impressive sculptural piece by Tara Donovan. Artists included in the show are: Alexander Calder, Lygia Clark, Joseph Cornell,Tara Donovan, Raymond Duchamp-Villon, John Ferren, John Graham, Grace Hartigan, Marsden Hartley, Robert Motherwell, Mira Schendel, Ivan Serpa and Theodoros Stamos.